The inspiration board I created to reference for design decisions while creating the 'La Petite Patisserie' scarf. The 'La Petite Patisserie' design is unique among the first collection in that it is not a symmetrical design that rotates around the four corners of the scarf. I wanted to challenge myself to create an engaging, fantasy-like space for the viewer to enter. My fantasy space of choice? A bakery! Specifically, a french patisserie with lots of vintage trimmings. 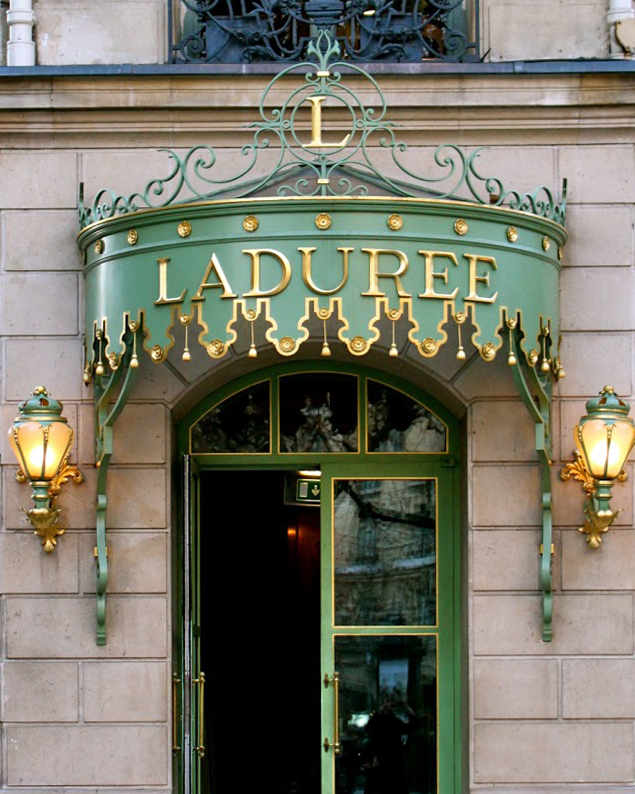 The entrance to Ladurée in Melbourne, one of many worldwide locations. The main references I drew upon as far as existing confectioneries go were the famously stylish french bakery Ladurée, which sells its charming aesthetic along with its candy-colored macarons all over the world. A view of DC's Ladurée through the window display during its opening. Image from DC Eater. 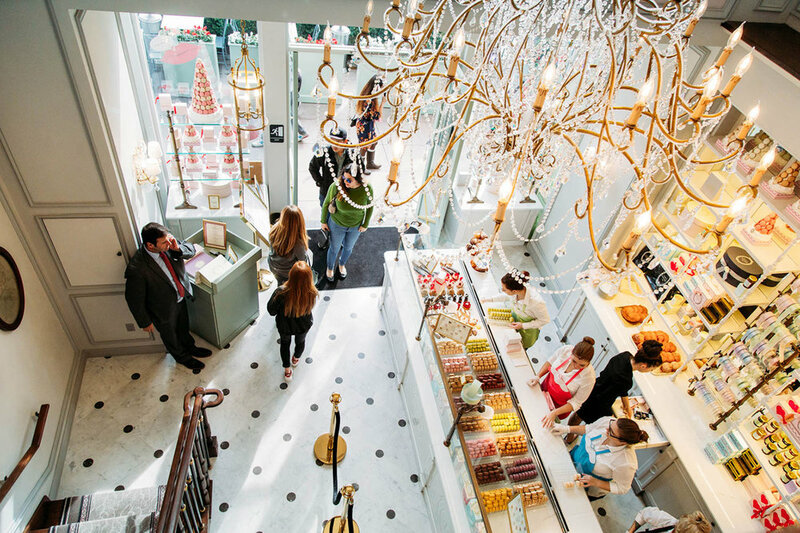 A bird's-eye-view of the Ladurée at the The Grove in West Hollywood, CA from Brooke du Jour. 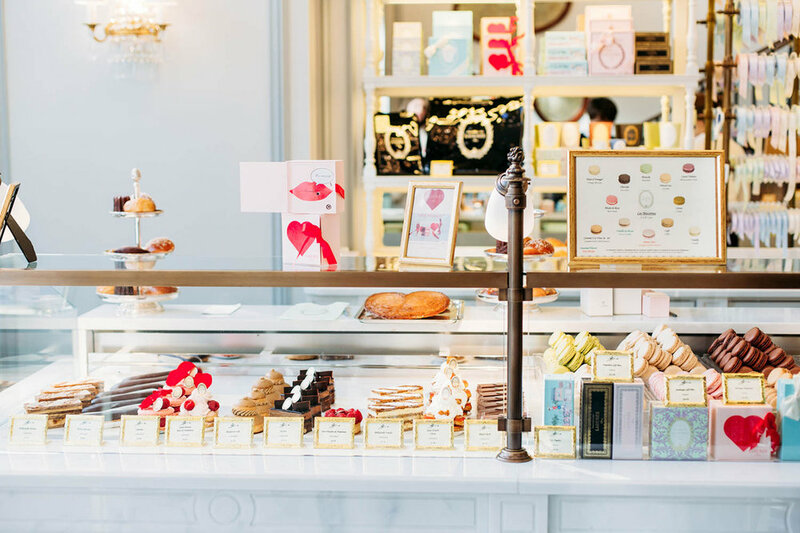 The patisserie counter at the The Grove Ladurée in West Hollywood, CA. Image from Brooke du Jour. 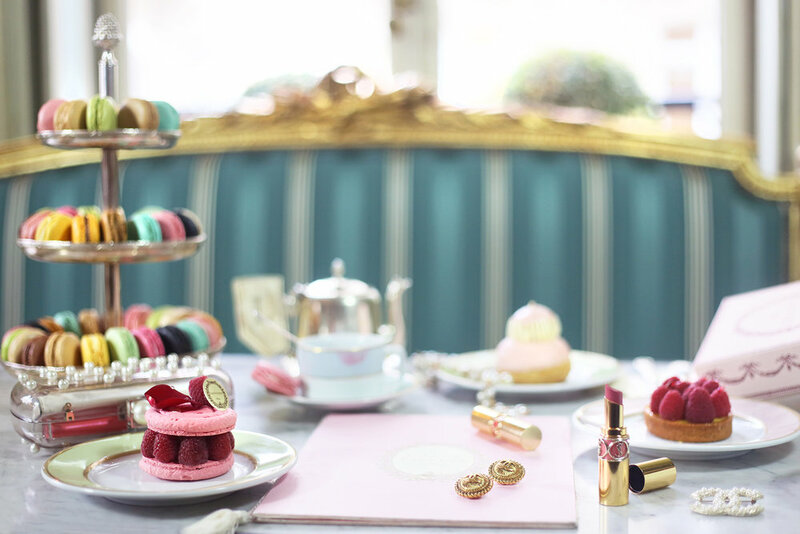 A table scene at Ladurée Paris's afternoon tea. From Margo & Me. 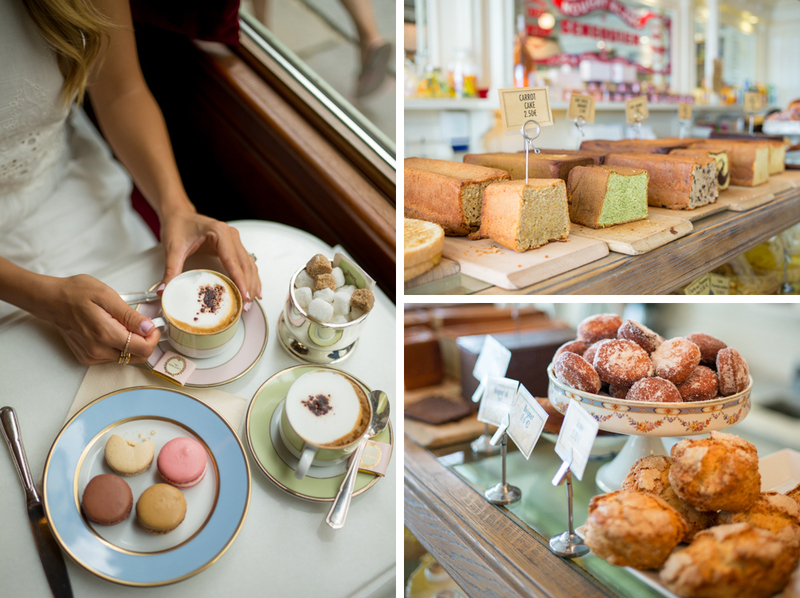 A collection of images from Gal Meets Glam's trip to Ladurée in Paris. The second was Shane Confectionery, a spot in Philadelphia that has outfitted itself in complete Antebellum fashion. Shane Confectionery in Philadelphia, PA. Image from Food Network. Sebastien Gaudard's Patisserie des Martyrs in Paris. I was also drawn to this image of Sebastian Gaudard's Patissere des Martyrs, especially the tile. It got me thinking about how I could play with compacting spatial representation in my composition, which became one of the main goals of the design. 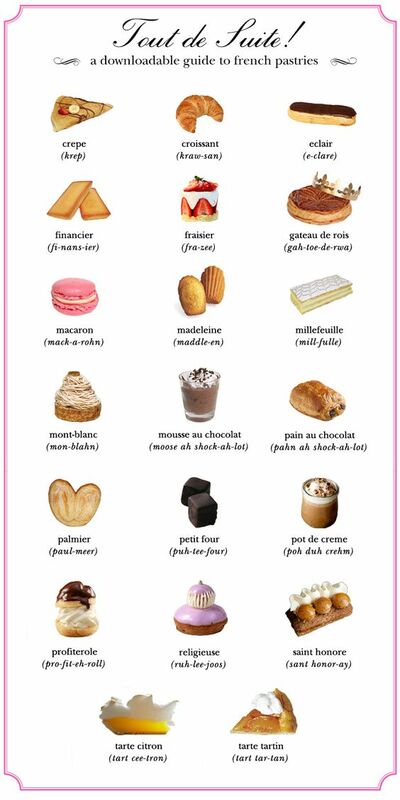 Kate Spade's guide to French Patisserie for Americans. The final source of inspiration was of course the pastries themselves! I especially love when they are shown as individual little masterworks behind display cases, and I wanted to capture that preciousness in my dream-patisserie. I was especially excited about the ever-impressive croquembouche being the focal-point. To add even more whimsy, I chose the carousel-inspired version sometimes used for young girls' birthdays. The finished sketch of the 'La Petite Patisserie' Scarf design in full, color-coded and ready for tracing. I first sketched out the entire composition at full-scale in pencil, something I don't usually do. As a textile designer, I typically create individual motifs, scan them in, and play with composition on Photoshop. This was a totally different process, and turned out to be very rewarding. When the whole composition is drawn together, you can be very intentional about how the various elements react to each other. Another aspect that I was paying attention to during this design process was creating in limited color, instead of limiting the color after creating. I wanted to produce this design as though I were creating it for screen printing and treat the colors as a puzzle. As you can see, it required a lot of labeling! I then proceeded to trace over the composition, one layer for each color. Tracing only the blue sections of the design to keep the color layers cleanly separated. Large blocks to be filled in on the computer are outlined and indicated with a partial fill-in. With the blue sections complete, beginning to trace the custard layer on a separate sheet placed on top in order to make sure the colors will fit together when layered. The finished tracings of all the separate color layers. Once I had all of the layers, I scanned them in, gave them each their own color, and lined them up on Photoshop. The 'La Petite Patisserie' design in its final scarf form! Printed with GOTS-certified organic inks on organic ahimsa silk. See you at the cafe!